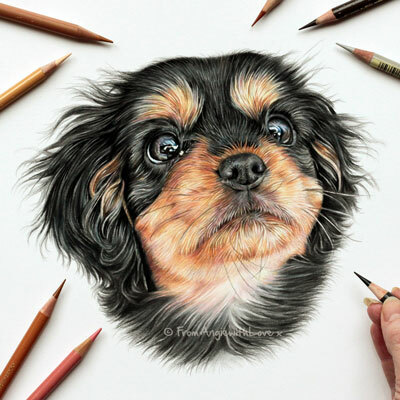 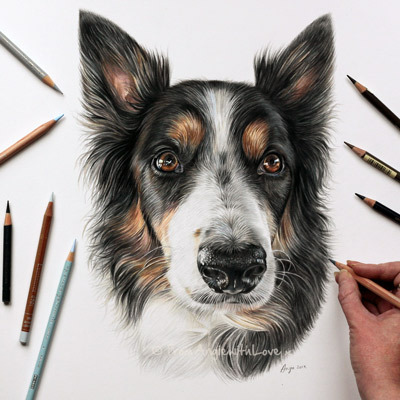 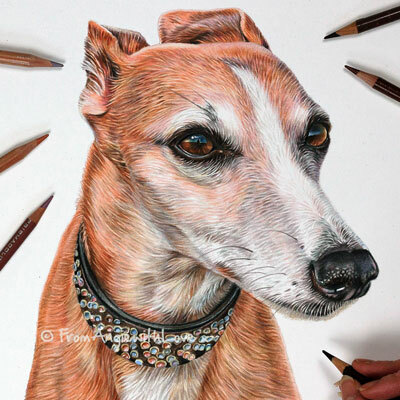 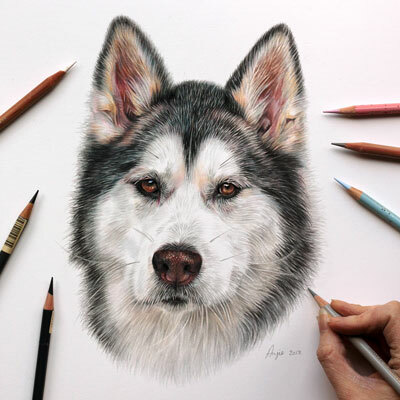 Dogs naturally make fantastic subjects for pencil portraits – they’re full of character, and you’ll know the markings and mannerisms that make your dog unique. 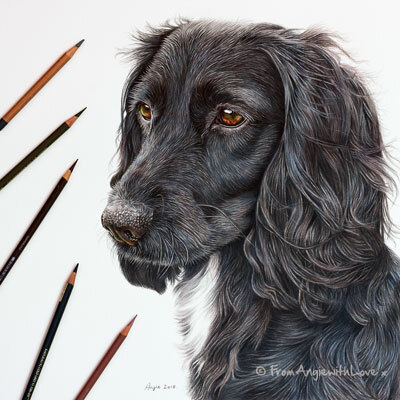 These qualities come across especially well in pencil, given the subtle, timeless feel and high level of detail. 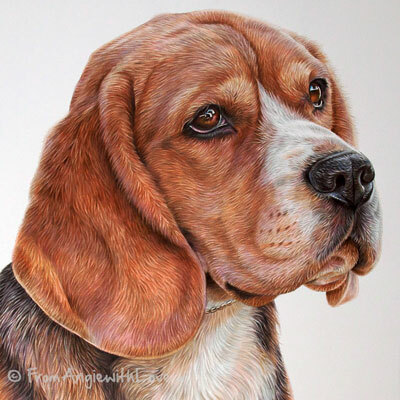 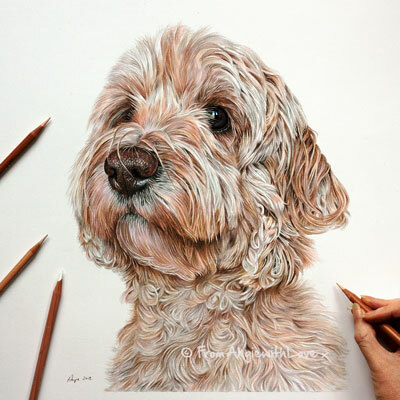 Each dog portrait is 100% hand-drawn just for you in coloured pencil, and is based on one of your favourite photographs. 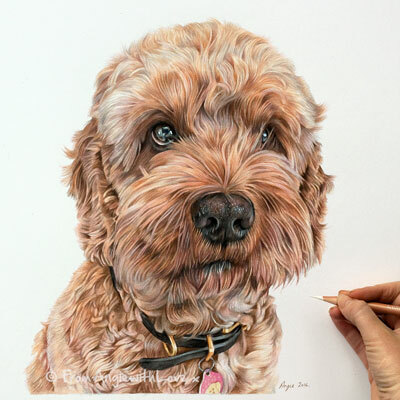 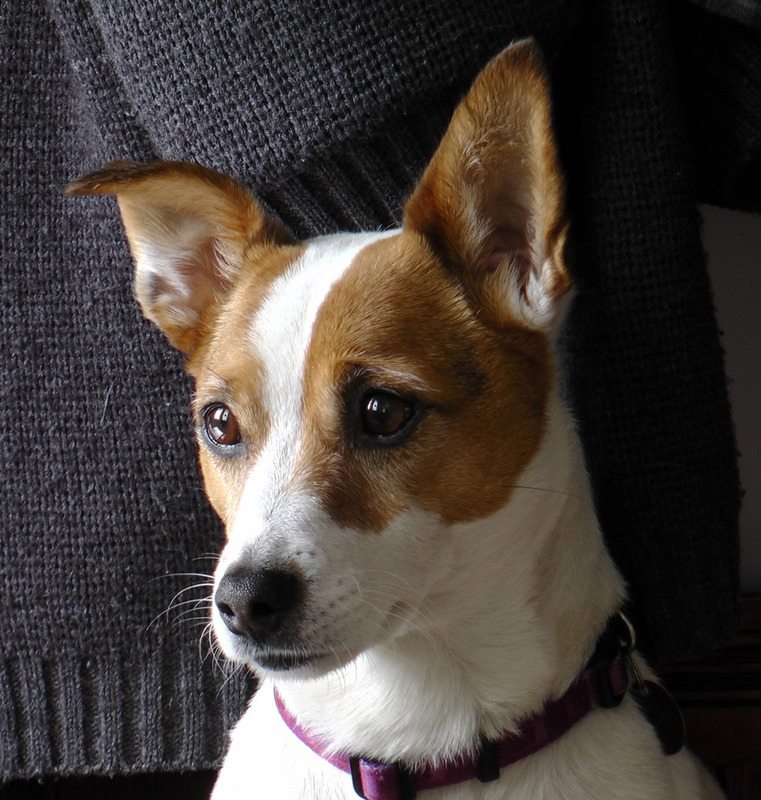 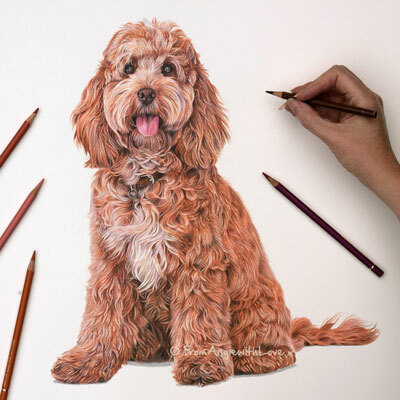 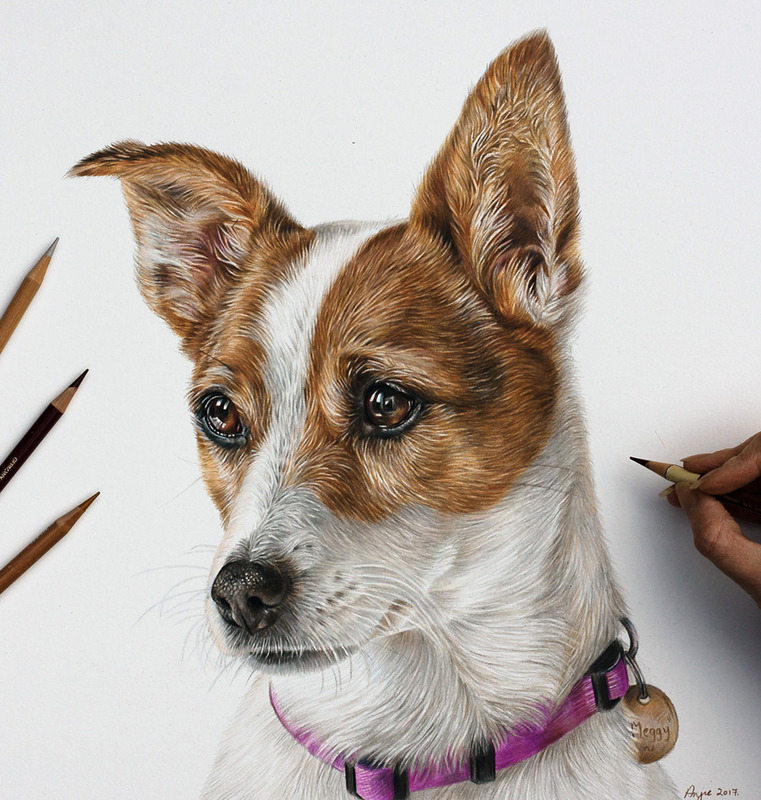 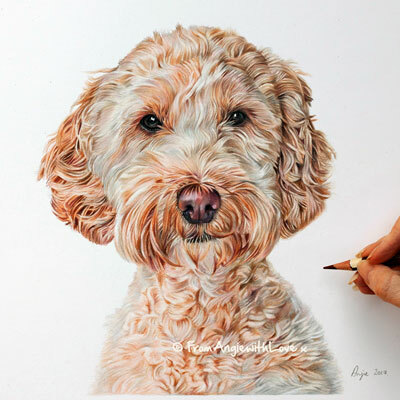 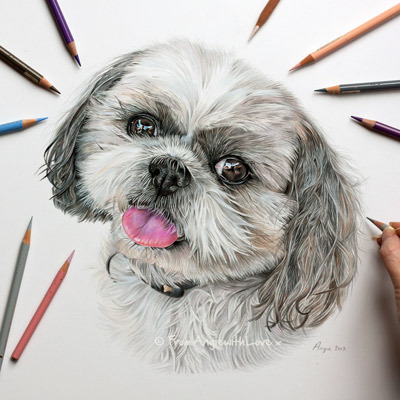 Find out how to commission your dog pencil portrait here.